I love learning new stitch patterns and turning them into pattern designs. I developed two stitch patterns back in 2013 for the knitting loom and decided it is high time to start using them on my needles too. The needle knit Sisal and Seagrass stitches both have a woven look with a rich texture that will give your next scarf, cowl or hat a unique design. I spent a good deal of time researching to see if these stitch patterns already existed. After searching the internet, knitting books and speaking with a few yarn shop owners and knitting instructors I was excited to learn that I really had designed some new stitches! 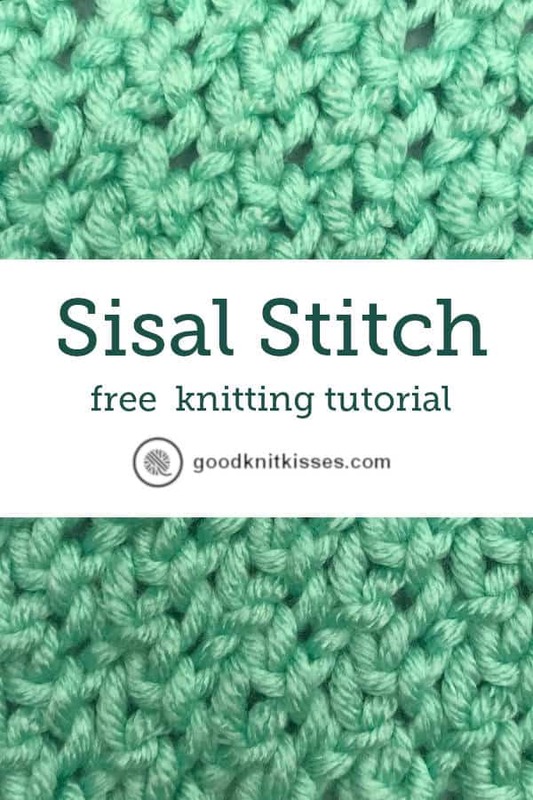 Both the Sisal and Seagrass stitches are simple to knit. They combine a bind off with a yarnover to give the fabric an open texture. The Sisal Stitch uses this technique on every row creating the illusion of a woven fabric. 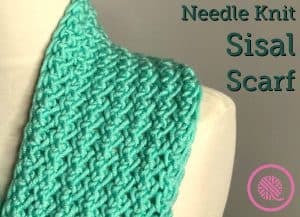 The Seagrass Stitch alternates the bind off-yarnover row with a purl row breaking up the pattern and creating it’s own unique texture. Each one is a multiple of 2+2 with a 2 row repeat. What does that mean, you ask? It’s pretty simple actually, but if you’re not familiar with knitting terminology it can be confusing. When a stitch pattern is a multiple of 2 that means that you repeat the same pattern instructions every two stitches. 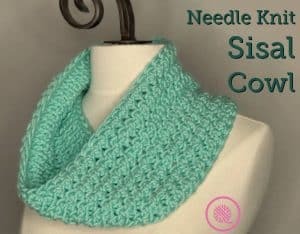 That means that you will work the stitch pattern over two stitches. 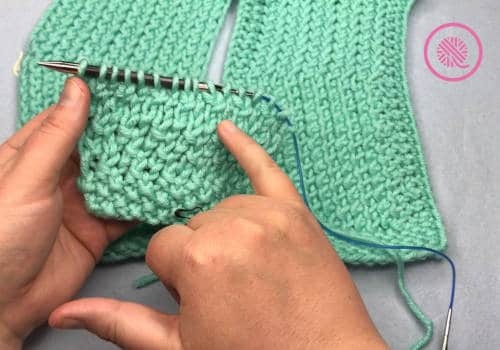 The +2 that we tack onto the end of “multiple of 2 +2” just means that we also need two “extra” stitches that are not part of the repeated stitch pattern. In this case these are edge stitches on either side and allow you to create a smooth edge. See what I made with the Sisal and Seagrass Stitches! I’ve got the stitch patterns written out below for you. To really see the texture of the stitch pattern I recommend using a solid colored yarn in your projects. Please feel free to use these new stitches in your own designs and projects! As always I have tutorial videos to show you exactly how the stitches are worked. I’ve included videos for BOTH right and left-handed knitters. 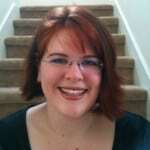 (I know it’s tough for lefties to have to work everything backwards when watching a video!) 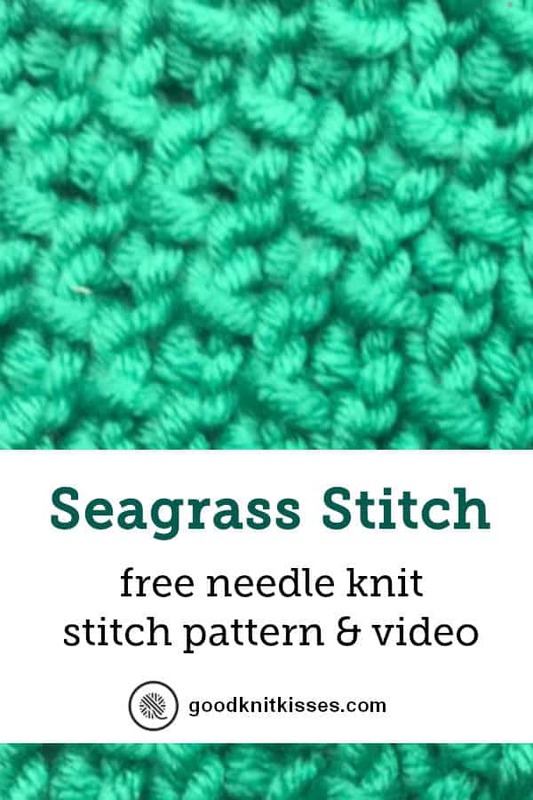 As a bonus on the Seagrass videos I show how to work the stitch in both English and Continental styles. 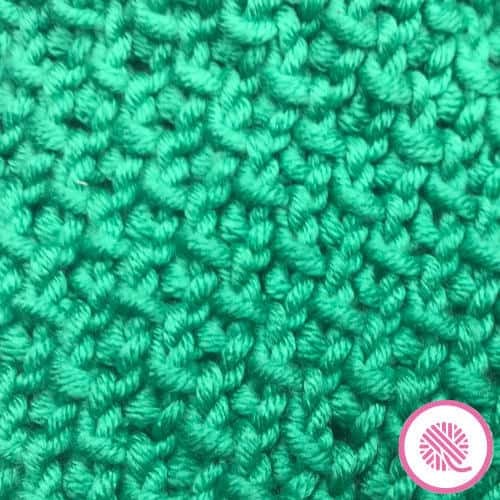 This stitch pattern when used alone requires a foundation row of purl stitches. Do not use this stitch pattern directly after casting on. 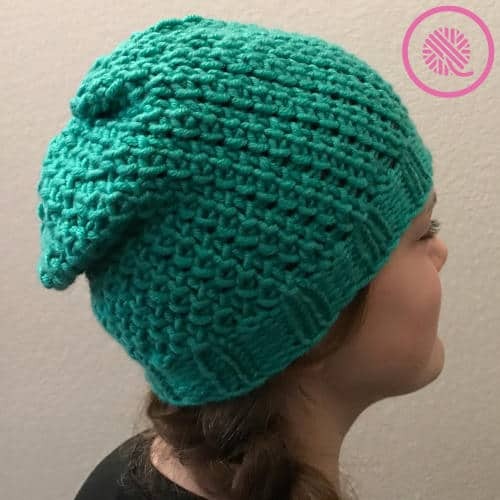 If you are incorporating this stitch pattern into another project you may begin with Row 1 if the previous row was all purl. Rep Rows 1-2 to desired length. End after completing a Row 2. If finishing a project with this stitch you will also need to knit a final row before bind off. Knit Row 3 listed below before binding off. 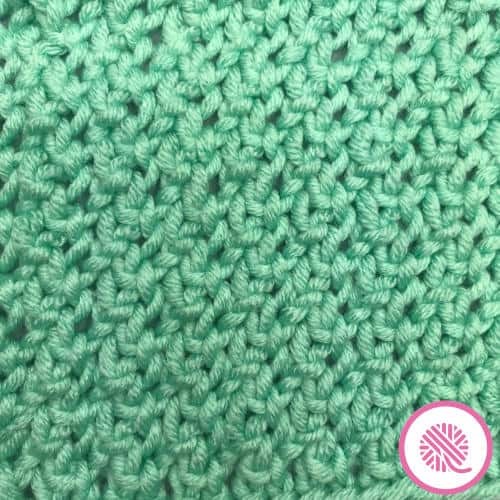 The Seagrass Stitch is unique because it can slant to the right or left depending on the direction you knit. In the round this creates a gentle spiral look. As a flat panel you can create either a straight panel OR a zig zag panel by switching directions! You can see all three sample below. Rep Rnds 1-2until knitting measures desired length; end after completing a Row 2. Row 2 (WS): Sl 1 PW, P to end of row. Rep Rows 1-2 until knitting measures desired length; end after completing a Row 2. For a Seagrass ZigZag Pattern you work the stitch pattern alternating the slant direction. Work the same number of rows in each slant direction for a balanced zig zag pattern. Row 4 (WS): Sl 1 PW, *Purl BO 1, Thumb CO 1 rep from * to last st. P1. Row 5 (RS): Sl 1 KW, K to end of row. Rep Rows 4-5 until knitting measures desired length; end after completing a Row 5. Row 6 (WS): Sl 1 PW, P rem sts. I hope you enjoy these new stitch patterns. Please post your comments below. 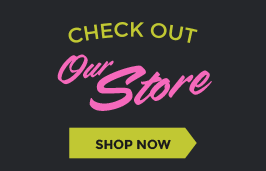 I’d love to see your test swatches and designs! Please post your photos to our Education Facebook Page or Google+.